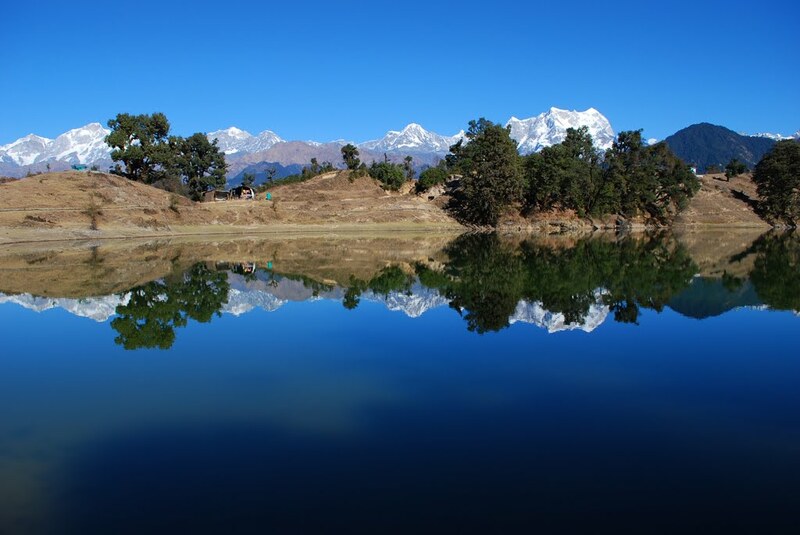 Deoria Tal is a very beautiful lake situated amid dense forests of Rhododendron and Oak trees in Rudraprayag district of Uttrakhand state in India. 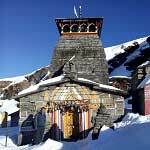 It is situated at a height of 7800 feet. It is accessible by trekking from Sari Village. From Sari the lake is only 2 kilometer of moderate trekking. The trek is well defined and any person in good health condition can do it. Sari is at a height of 6554 feet, it means you need to gain an altitude of 1246 feet on your trek. 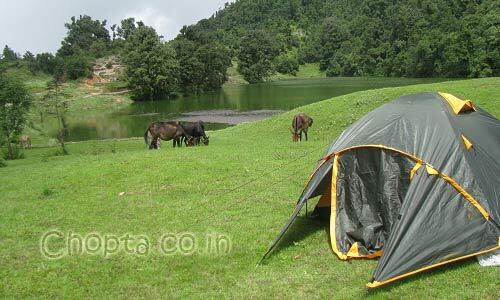 It is most beautiful experience to camp at Deoria Tal. You can do camp fire at Deoria Tal. 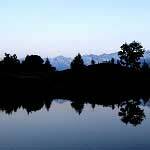 There are not lodges at Deoria Tal and you can stay only in camps. One need to take permission from forest department to enter the area as well as for camping. It is very cold in winters at Deoria Tal and the lake semi freezes. 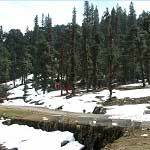 The lake is snow clad during the winters and in summers the weather is pleasantly cool. If you are really interested to trek from Deoria Tal to Chopta it is an easy trek as Chopta is at an altitude of 9400 feet. 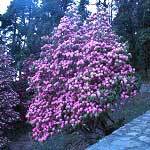 It is 13 kilometer trek and can be done easily in a day. You need to gain an altitude of only 1600 feet in this trek. If you are interested in camping on the way you can also do so. If you are going in a group and some of your group members are not willing to trek they can use road and some of you can trek to Chopta. Deoria tal as seen from top. I want to do this trek in Feb-March 16. How much of snow will there be in Feb?